Was it even his fault, the accident I mean... Not the seatbelt. All the linked article says is that his Land Rover overturned after he pulled out of a driveway, very little about the other car or how the accident actually happened. My grandfather's 92 and he still drives. Though, to be fair, up until a few months ago he was also still working full-time at 60-hours a week and was in great physical health for his age. The old man tripped while making a delivery, and shattered his hip on the fall, forcing him into retirement out of his 1099 Contract. He had to get a hip replacement, and now walks with a walker. Stubbornly, he took his first day without having to use the walker out for a drive to get pizza for my parents as a surprise, when at the pizza parlor he slipped on his way going into the building and fell again a second time, this time requiring him to get 18 stitches across his right eyebrow. I met him at the hospital later that night and he said to me: "That was stupid of me. I won't try that again..." Men in my family are traditionally pretty hardheaded and stubborn. 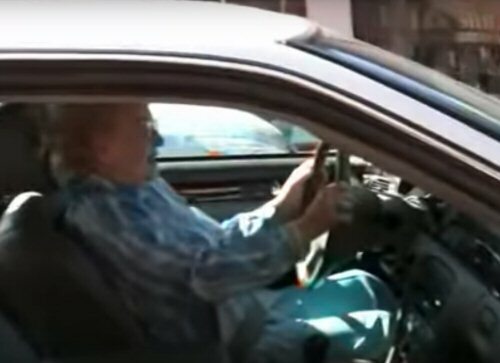 Life, hath no axle, no spring, and no End"
Betty White is 97....who is telling her she can't drive? (01-21-2019, 11:22 AM)TheRealCallie Wrote: Betty White is 97....who is telling her she can't drive? That's because Betty White is a badass. It's obviously a bad joke, but it tends to work as a great ice breaker. A chappie rang up my local radio station saying he was driven off the road by the Prince 30 years ago when the Prince came at him down the centre of a two way road.The poor gent very distinguished sounding was driven into the grass verge with scratches on his car and bits broken off I think.One of the two outriders in blacked out landrover did brake briefly but didn't stop to see if the poor chappie was alright. It's on James O'Brien on LBC if you wanna look it up..
(01-21-2019, 11:16 AM)IncolaVacui Wrote: My grandfather's 92 and he still drives. I don't know about now but as of a few years back, she was still driving. Current time: 04-25-2019, 12:41 PM Powered By MyBB, © 2002-2019 MyBB Group.